Our Experiences unique to the Lemongrass Thai Heritage Massage. 2 hrs. 1000 Bht. Thai Room. 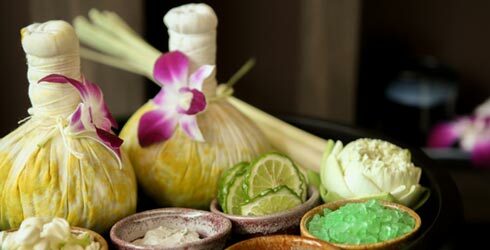 Detail : After a full body pressure-point massage, a special Hot Compress of fresh plai, tamarind leaves, turmeric, bergamot peels, camphor, lemongrass is pressed onto the body’s meridians to sooth muscles and stimulate the vital organs. After the treatment, you will enjoy a feeling of lightness. 1 hr. 15 mins. 600 Bht. Mezzanine. Pamper and refresh your tired foot and legs while giving them all the attention by soaking, scrub, moisturize. The ritual combines a hot compress Foot Massage.